No mixing of sand, cement or water required. 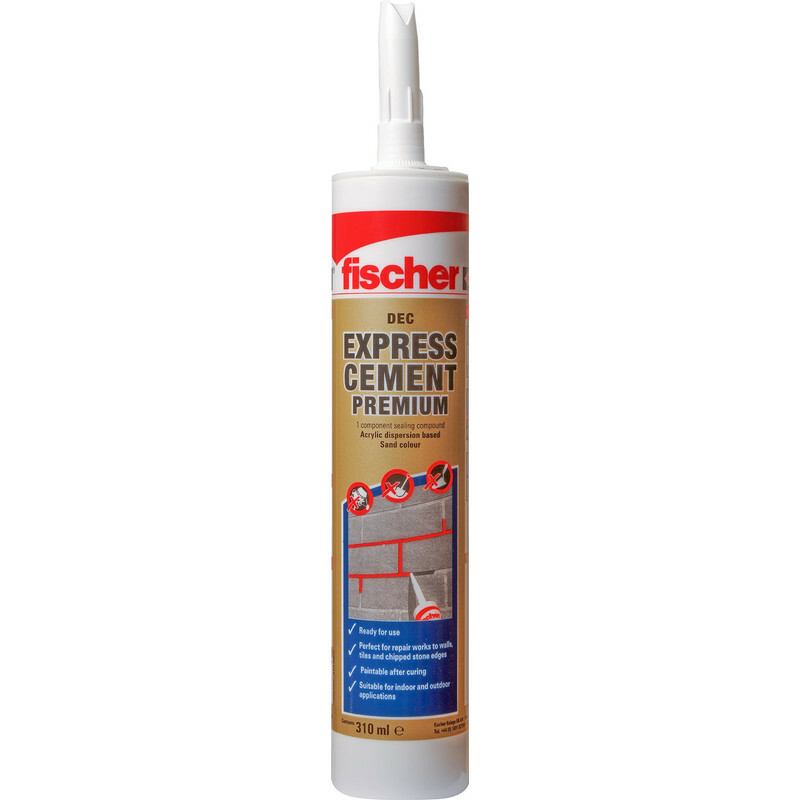 Fischer DEC "Premium" Express Ready Mixed Cement Cartridge Sand is rated 3.0 out of 5 by 23. Rated 1 out of 5 by jaspers from Mixture to Dry Bought 2 tubes, well within use by date, unfortunately it would not pump with the gun, in fact broke first gun.I would say it is not fit for purpose. Rated 4 out of 5 by PdashM from It worked Requires strength to apply but it worked well. Rated 1 out of 5 by Dedge from extreme grip required Not for a normal grip, eventually tube was cut to extract content. 2nd. tube not used.